President George W. Bush’s Attorney General Michael Mukasey agrees with President Trump. He believes that it is quite likely that Trump Tower was wiretapped during the campaign. And although he asserts that it was likely ordered by Obama’s Attorney General and not Obama himself, the truth is that Obama’s AGs, both Holder and Lynch, were nothing more than puppets with him pulling the strings. So, even if it is true that his AG ordered it, in essence it isn’t much different than if he ordered it personally. In a tweet this past Saturday morning, Trump asked a “hypothetical” question abut the legality of a sitting President ordering a wiretap of a candidate. See below. 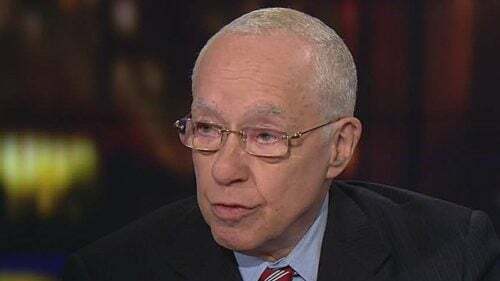 Mukasey further explained that a wiretap would be justified if the Justice Department believed there was a chance that agents for foreign governments had infiltrated the campaign. Which sounds an awful lot like a convenient excuse to spy on the Trump campaign. Of course he didn’t order it. Just like he didn’t tell Putin he’d have more flexibility after the election and like he didn’t try to pin Benghazi on a YouTube video. Lewis can deny it all he wants. Obama would have done and will still do anything he can to derail Trump and his plans to make America great again. A great America just isn’t in the playbook for the Left. They get a paycheck based on apologizing for America. But those days are over. The Democrats lost. Americans are tried of being told how terrible we are. And that is why we elected Trump. Keep pressing on, President Trump. Get to the bottom of this leak/wiretap mess and if illegalities are found, let’s get some people arrested and thrown in jail. It is time to take back this nation from those who hate her and who are working against those who love her. It’s time to clean house, locate the rats and drain the swamp. It’s time to make America great again.